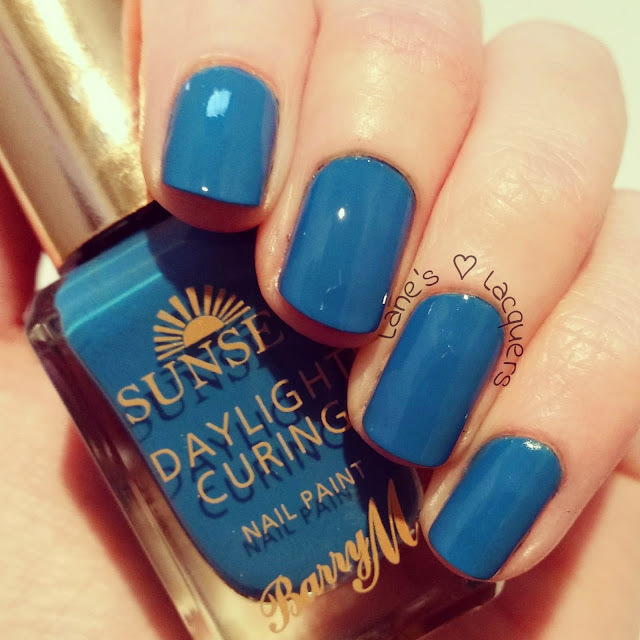 After a ten day nightmare with Royal Mail, I have at last got a review and swatches of five of the new Barry M Sunset polishes for you. 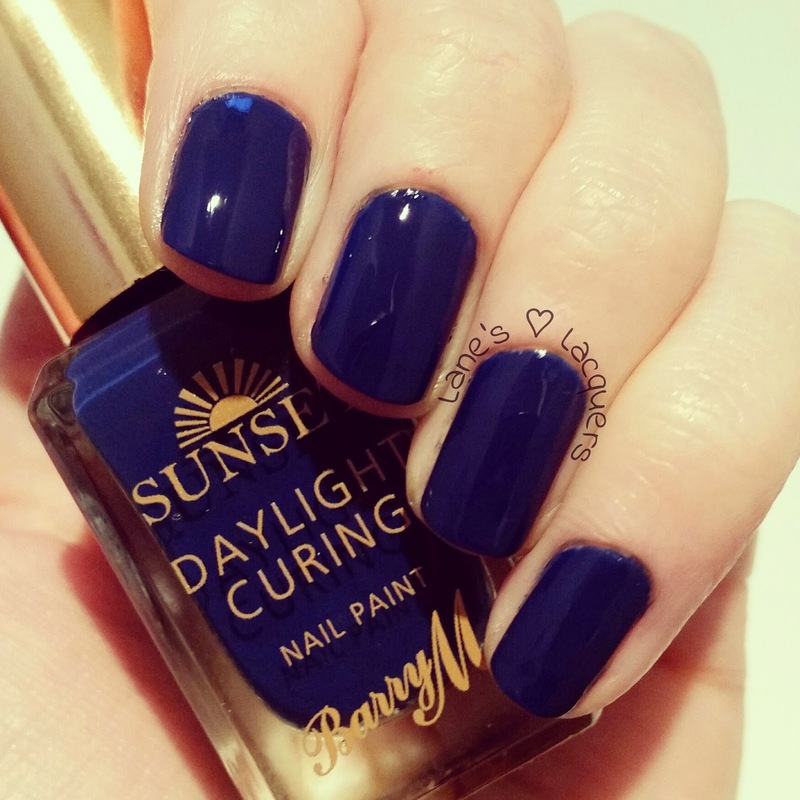 They claim to give you a gel-like manicure with a topcoat that cures in daylight as opposed to a UV or LED light that you would use with a true gel polish. I will start off by saying that all of the non-gel 'gel' polishes I have tried to date have resulted in, well, nothing at all like a gel polish finish. So lets just say I didn't have high hopes... But I was pleasantly surprised!!! 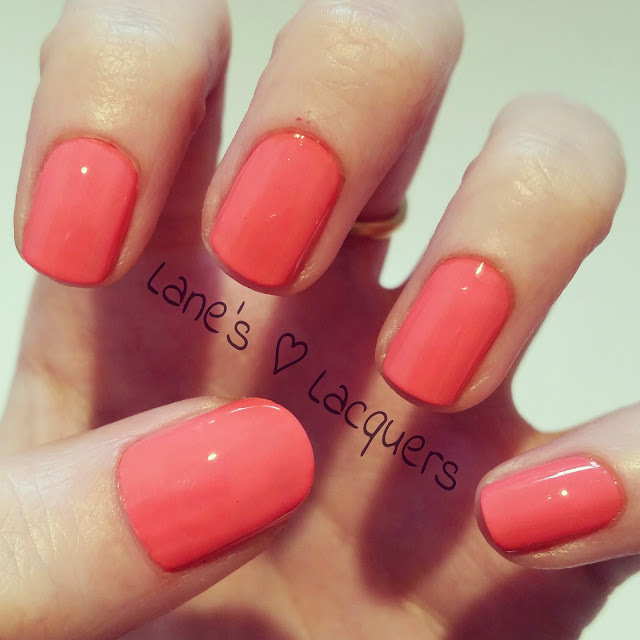 This is Peach For The Stars a lovely coral (more than peach) shade, three coats with topcoat. 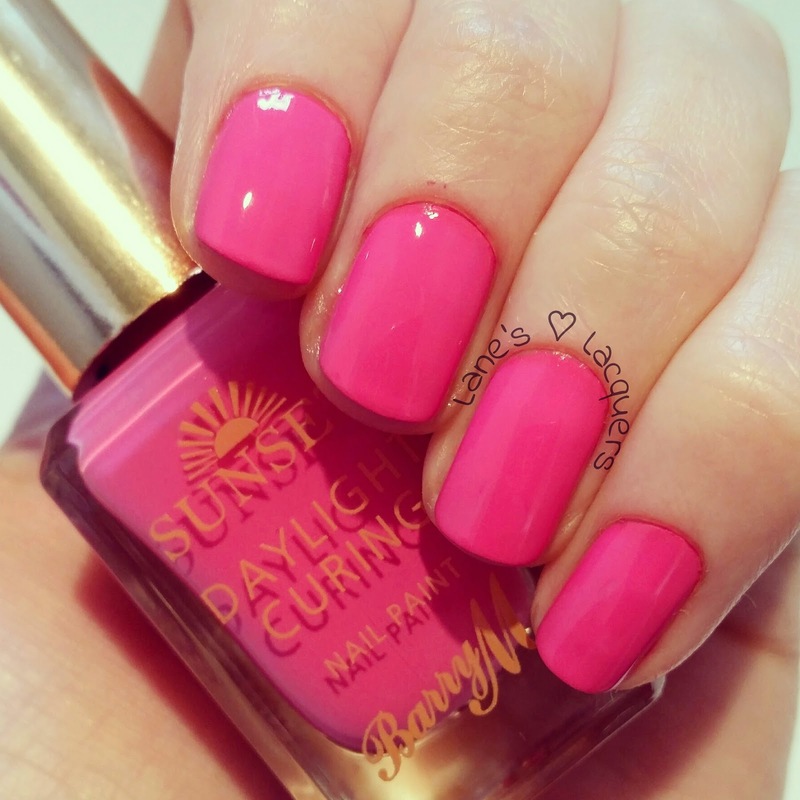 Here's my favourite I've Been Pinkin' a lush, almost Barbie pink, three coats with topcoat. 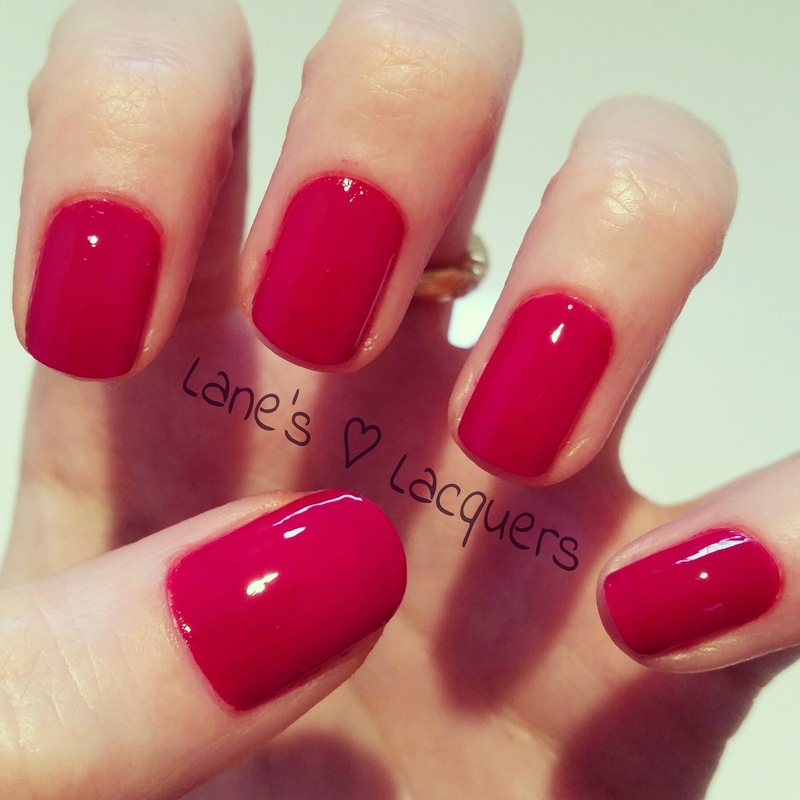 Now for Fuschia Generation a beautiful winey, raspberry kind of colour, two coats with topcoat. 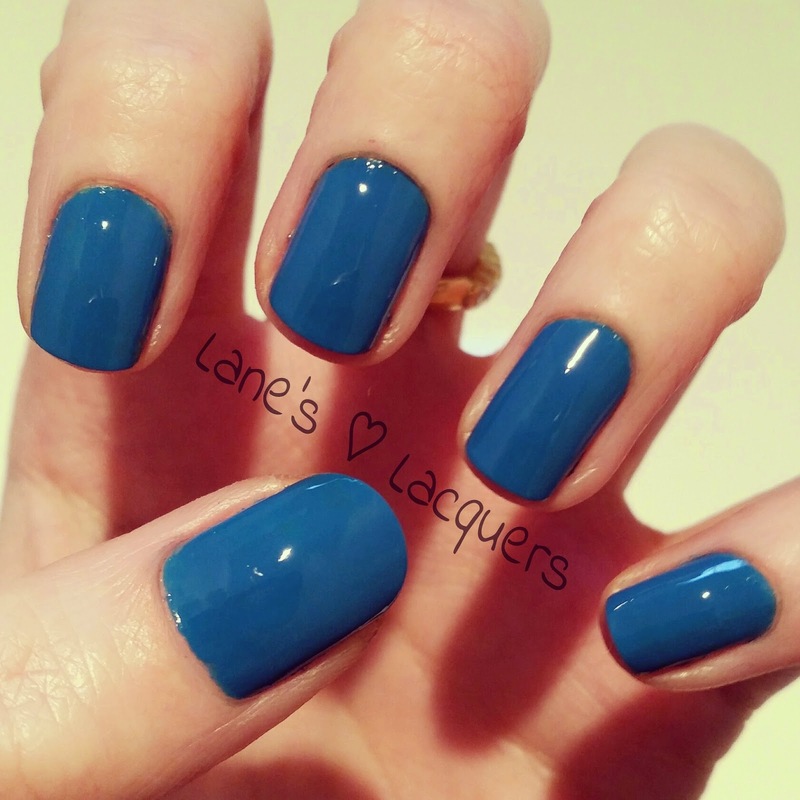 Next is my nearly favourite The Way You Make Me Teal a gorgeous blue, two coats with topcoat. 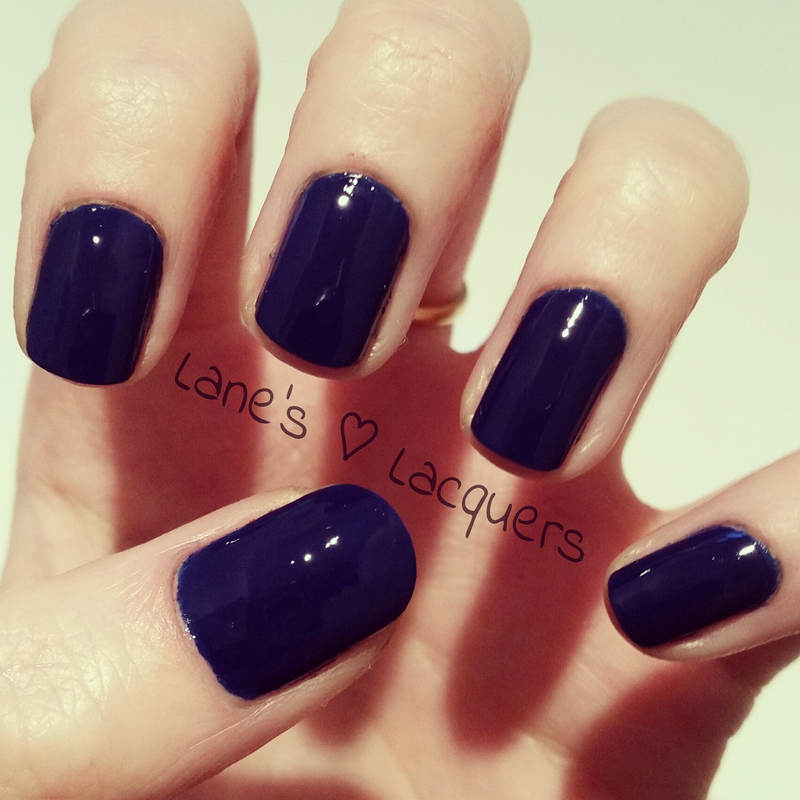 Last but no means least is You Drive Me Navy a stunning deep, deep blue, two coats and topcoat. 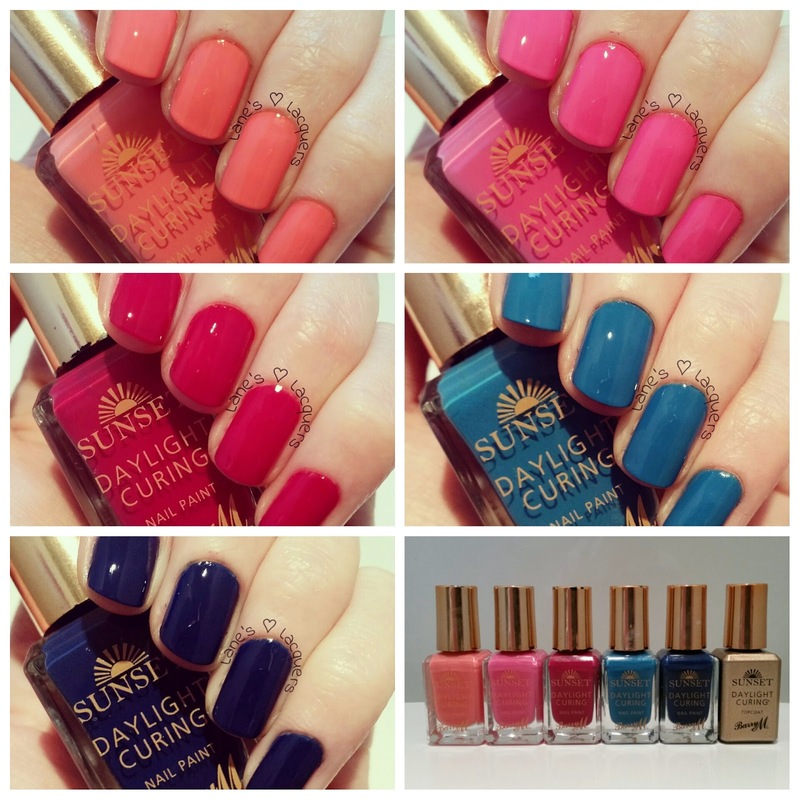 They do require the recommended two (the lighter shades really needed three) thin coats to build an even and smooth colour. The formula is thick but also dries fast and impatience in the form of thick coats or too-fast second coats, can result in a puckered, streaky mess lol! 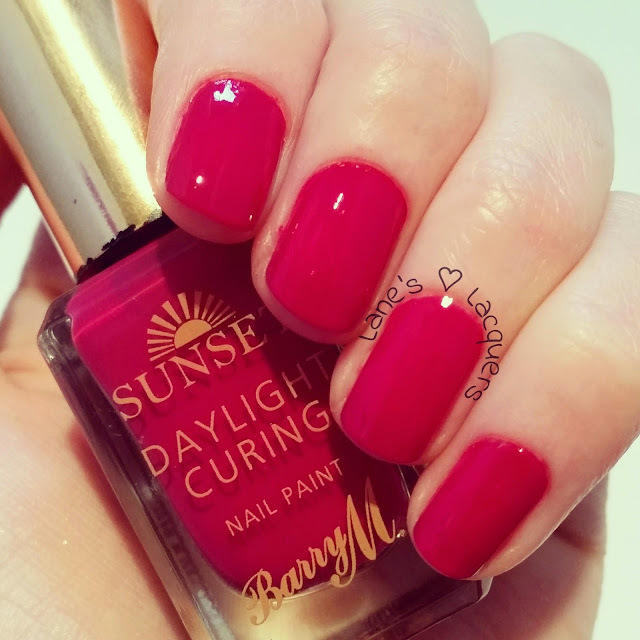 My mani's were touch dry in just a couple of minutes, dry to do light tasks within fifteen and dent proof in thirty; I have no idea if the sunny weather helped and I do wonder how they would fare with no daylight??! You remove them with regular nail polish remover and in my opinion they wipe away easier than normal polish. Have a great weekend peeps! Great review..so far; but am hoping to see a wear test for these some time soon..maybe? :) I'm really into this whole "gel like, but not quite" polishes on the market. If you're trying to follow my blog with GFC and get "We're sorry... We were unable to handle your request. Please try again or return a bit later" then please click on the two little black squares to the right of the join button instead... A pop up window appears with a follow button in the top right :) Thanks! Behind The Blog: Turning Thirty! Lane's Lacquers Turns Two: Blogiversary Giveaway!